You want to ensure your home and family are safe always, but have you taken all the appropriate steps in doing so? 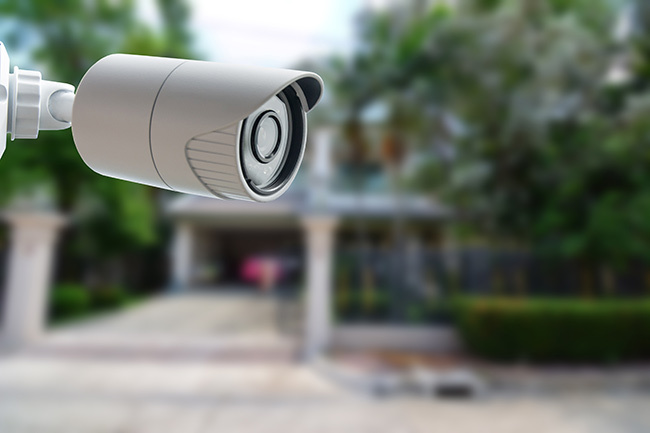 Many homeowners are unaware of some steps that can (and should) be taken to keep their home safe, while brand new homeowners may not even know where to begin. It is never too late to ensure things are done right, however. The following contains all the home security items everyone should be following to keep their home and family safe. Keep all valuables out of street view. This includes anything valuable, which should be kept away from windows where it might be seen by a passerby. Doors should be crafted out of heavy wooden materials that are hard to break. Doors with metal paneling are also great choices. Entryways and pathways should be well lit at night. Ensure there is a way to see who is at the door prior to opening it. When traveling, have all mail held at your local post office. This prevents others from knowing your family is away from home. People are most likely to have their home robbed during vacations. Create an emergency escape plan for all potential situations, and make sure your entire family – even the youngest children – know what they are supposed to do. Place a decal on a window or a sign in your yard that states your home is monitored by a home security system. Keep fire extinguishers easily accessible throughout your home and know how to use them. Install deadbolts on front and back doors, as well as any others which lead outside. Utilize secondary locks on windows and sliding glass doors. Store medications out of sight. Use a safety deposit box or secure safe for your most valuable items. If you possess firearms, use a locking firearm safe. This will both prevent children from accessing the weapons, as well as keep them out of reach of a robber when you are not home. Reinforce any windows (including glass doors) located near doors which could be shattered and allow easy access for burglars. Use a dowel to secure sliding doors at night. Keep shrubs and bushes trimmed, as well as the yard mowed to prevent places for people to hide. Do NOT keep a spare key under the door mat. Leave the original locks on your doors from purchase. Always be sure to rekey all locks after purchasing your home. Leave your door unlocked when leaving the home. Lock all doors and windows, even if you’re leaving for a few minutes. Leave your garage door open. It should also be locked and secured. Leave gates to your yard open or unlatched. Every homeowners should be following the items on this checklist to ensure their home and family are safe. By using these, you can create the safest, most well protected environment possible by reducing your risk of burglary and other home-related crimes.